By right-clicking on a room in the room list, left-clicking on the room name within the room or by clicking the settings-icon besides the name of the room name, the menu to access the configuration of the modules will be displayed. 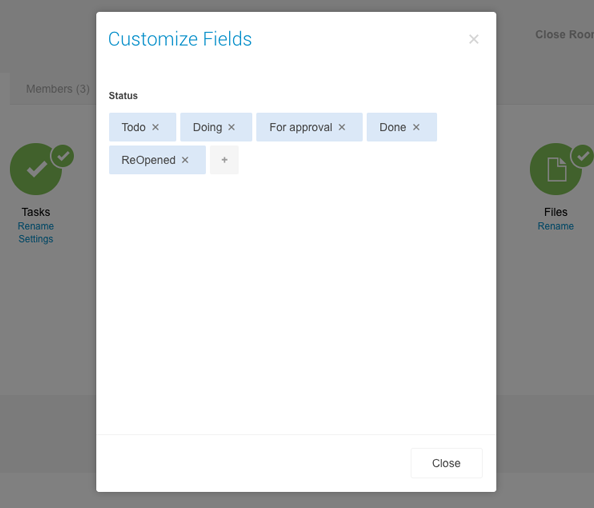 Select the option "Configure Modules" in order to open the module settings. Alternatively you can manage the module settings globally within the settings of the organization if you want to block or enable specific modules. 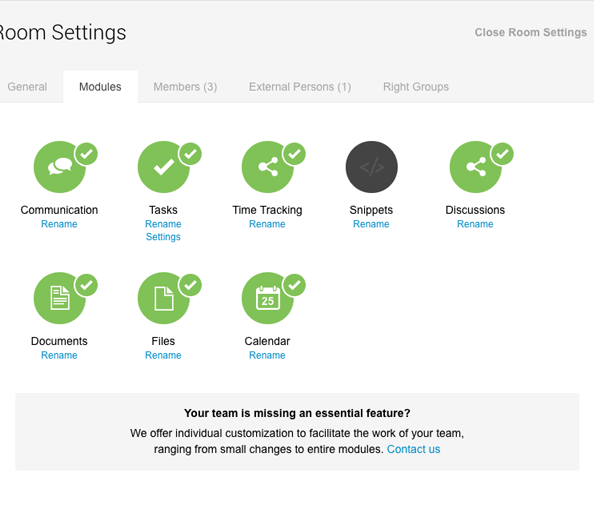 Click on the settings-icon to open the menu and select "Configure Modules". Green marked modules are activated in this room. For some modules further settings are available. Click on the "Settings" button beneath a module in order to edit these. For example, it's possible to edit the status or priority settings of the task module. Use drag and drop to change the order of the parameters. 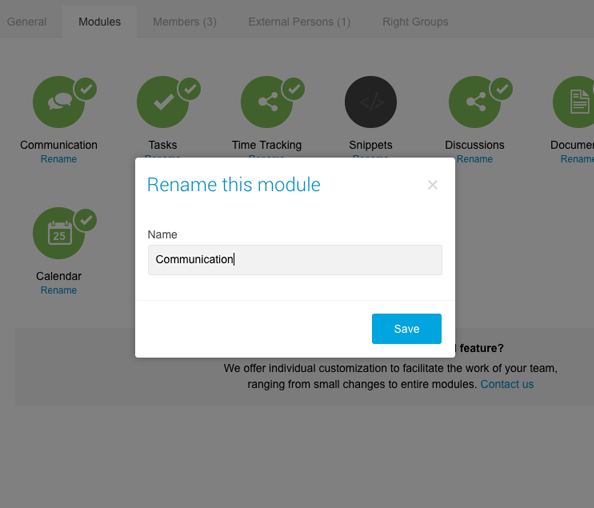 Alternatively, you can also change the name of the modules by clicking on "Rename". 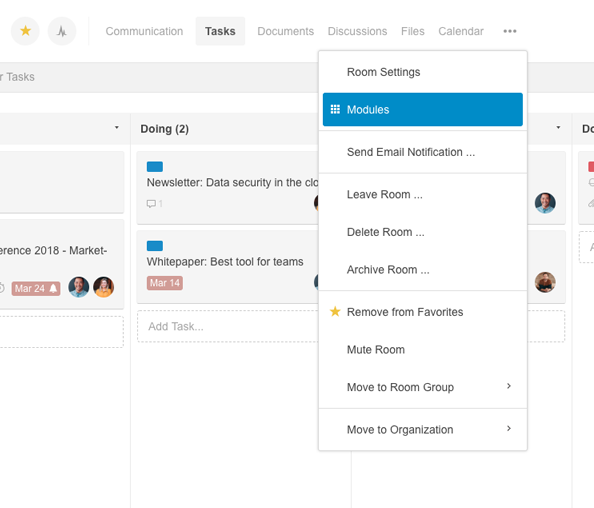 For example, the "Communication" module can become the "Chat" module or the "Tasks" module a "Sales" funnel. As a result, the respective rooms can be better adapted to the individual purpose. The designation of the modules can be changed in each room.